CHICAGO, November 14, 2018 /3BL Media/ - The International Living Future Institute (ILFI) announced today that Alicia Daniels Uhlig, Living Community Challenge and Policy Director, has been awarded one of Green Building & Design (gb&d)’s Women in Sustainability Leadership Awards. 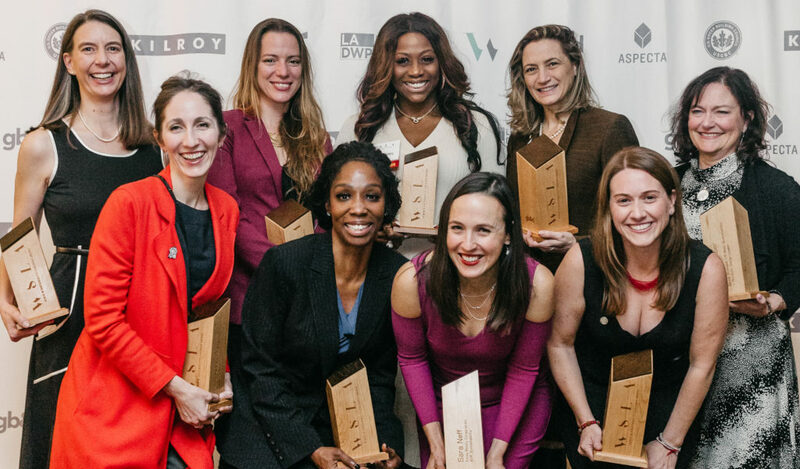 gb&d, the magazine for today’s leading green professional with a mission to create a more sustainable world, created the awards to celebrate the achievements of women who are making lasting change and strives to identify, support, and give opportunities to future women in leadership. Alicia Daniels Uhlig was driven from a young age. “In high school, I convinced the school to change its policy and allow me to be placed in an architectural firm 20 hours a week starting my junior year,” she recalls. “I vividly remember my first day, mustering courage and wondering, ‘How can I contribute?’” Sustainability has been her consistent path that has manifested in wildly diverse experiences, each requiring courage. In 2005, Uhlig joined architecture firm GGLO. As its director of sustainability, she oversaw drastic growth in LEED certified projects. At 39, she became the second female architect in GGLO’s history to be promoted to principal. From leading the Capitol Hill Eco District planning effort in Seattle to working with the City of Seattle’s Office of Sustainability & Environment to create the Seattle Climate Action Plan, she has helped to create transformative design that bridges the future of sustainability with the future of the built environment. More than two years ago she became the Living Community Challenge and Policy Director at IFLI. “Now I utilize experience gained from past collaborative work—from work with UNESCO sites in the Mediterranean and North Africa to Berea College’s earliest sustainability accomplishments on campus—and create a future of Living Communities that are culturally rich, socially just, and ecologically restorative.” During her time at ILFI, Living Community Challenge registrations have more than tripled, awareness of the program has soared, and her own access to mentors and mentees has grown. Read more about each of the winners here. gb&d is thrilled to present the fifth annual WSLA in partnership with the U.S. Green Building Council and Halstead/MetroFlor. Winners were selected by a judging panel that includes Rochelle Routman of MetroFlor and chair of the WSLA Alumni Group, Marisa Long of the USGBC, Amanda Sturgeon, CEO of ILFI, and Chris Howe and Laura Heidenreich of gb&d. Recipients were honored alongside this year’s Greenbuild International Conference and Expo in Chicago on November 13. About the International Living Future Institute: The International Living Future Institute is an environmental NGO committed to catalyzing the transformation toward communities that are socially just, culturally rich and ecologically restorative. ILFI is premised on the belief that providing a compelling vision for the future is a fundamental requirement for reconciling humanity’s relationship with the natural world. ILFI operates the Living Building Challenge, the built environment’s most ambitious performance standard. It is a hub for many other visionary programs that support the transformation toward a living future. Learn more at http://www.living-future.org. About Green Building & Design: gb&d is the only magazine covering green building and design across industries. It connects and inspires green building professionals by partnering with those at the forefront of sustainable design, development, planning, and policy. The publication offers a comprehensive perspective on new projects and products created with sustainability and social responsibility in mind. Photo caption: Winners of gb&d’s Women in Sustainability Leadership Award gather at the 2018 Greenbuild International Conference and Expo. ILFI's own Alicia Daniels Uhlig on top left.